It is our absolute pleasure to introduce another exciting and absolutely Adorable picture book to all of you. 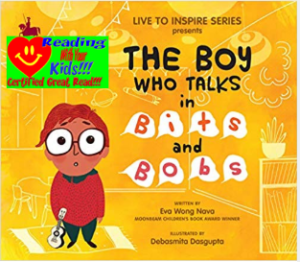 Please welcome The Boy Who Talks in Bits and Bobs by Eva Wong Nava as our brand new ReadingWithYourKids Certified Great Read!! You know that we at the Reading with Your Kids LOVE picture books! Picture books tell the complete story in 24ish pages with a beginning, a middle, and an end. They also make a perfect bedtime reads as they are short yet entertains children and adults alike. The Boy Who Talks in Bits and Bobs draws attention to a boy who finds it challenging to speak and was written to help children be more empathetic to those who live with speech impediments. Read on to find some of the important things young readers can learn while enjoying her book and we’re sure you’ll enjoy reading about her book as much as we enjoyed writing about it! Live to Inspire Series Owen is a boy like any other ordinary little boy. He loves to play the ukulele and he loves to sing. But speaking does not come easily to Owen. He speaks in bits and bobs. He finds that anything is possible with love, kindness, and patience. Share this book with school-aged children for a meaningful reading experience. Check it out at your local library or buy it on Amazon. 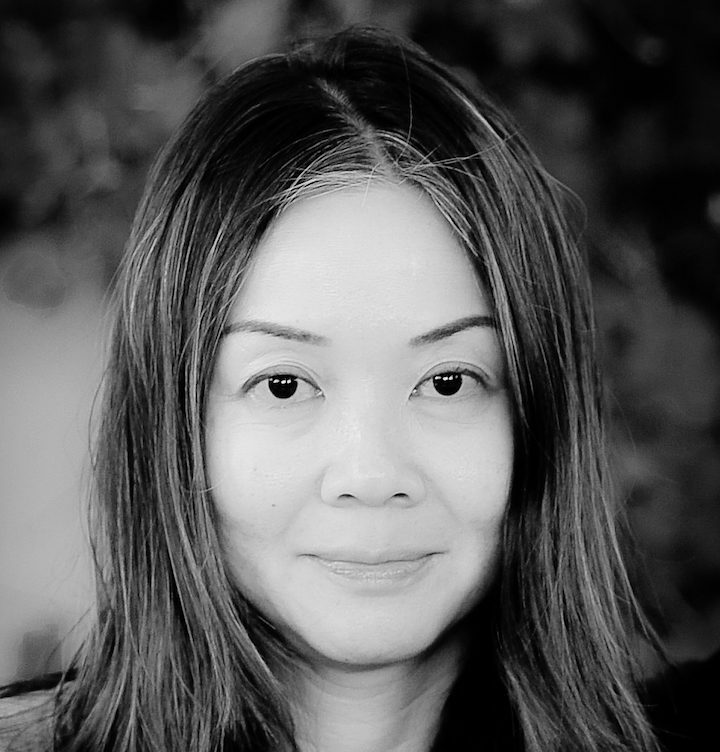 Eva Wong Nava is an award-winning children’s book author. She lives between two worlds and writes to help young readers understand the world they live in. Her Moonbeam Award book, Open: A Boy’s Wayang Adventure, helps readers be more compassionate to individuals on the autism spectrum. Her debut Picture Book, The Boy Who Talks in Bits and Bobs, draws attention to a boy who finds it challenging to speak and was written to help children be more empathetic to those who live with speech impediments. “The Boy Who Talks in Bits and Bobs” is a visually captivating, award-winning children’s book that tells the story of a vivacious young boy named Owen. Owen is an ordinary child just like any other girl or boy his age except that he has a stammer. He speaks in bits and bobs. Owen wants to overcome his stuttering and speak fluently. You get to experience Owen’s journey as he invites readers to learn about what it is like to stutter from his perspective and how it affects his daily life and makes him feel. Storyline: Owen’s stuttered speech causes him daily frustration and embarrassment. The way he talks inhibits his ability to freely share her thoughts and feelings, while he endures teasing from other children in his class. The only time he finds solace is when he plays the ukulele and sings his heart out. Yet, this all changes when Owen and his teacher make a plan to show other kids that Owen is different but unique. With help from his kind and caring teacher, His classmates realize that Owen has a sweet and melodious voice as he strums his ukulele and sings a beautiful song in front of his class. What we LOVE about the book: The narrative is captivating and keeps children eagerly engaged. Likewise, the message is highly compelling to give parents a reason to share it with their children. This beautifully illustrated book reveals how Owen learned new ways of expressing himself. Sometimes kids just really, really want to know that other people like them are out there, facing – and winning – the same daily battles. The Boy who talks in Bits and Bobs helps children who stutter understand there is help available and they aren’t alone. It is a wonderful story that kids can relate to and benefit from, while at that the same time giving them one more reason to explore the joy of reading. Need another reason to love this book? The last page of the book includes helpful information and resources for parents and teachers of children who stutter. We feel as if this does not just have to be for a child that stutters but for all children. The Boy who talks in Bits and Bobs provides a platform for children to develop empathy for children who struggle with any type of challenge or disability. Hearing about Owen’s sadness and frustration, as well as the teasing he endured, ought to touch any young reader’s heart. They may have more compassion and understanding for a child or adult they may cross paths with that stutters and hopefully avoid making the person feel even more self-conscious than they already are. Owen’s remarkable character will stay with you long after you’ve closed this heartwarming, insightful book. Overall, it’s a must-read for educators, parents, grandparents, and children. 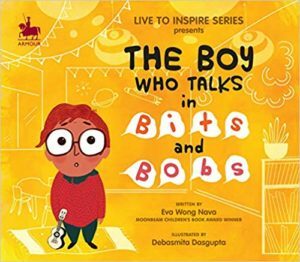 Young readers will easily connect to the straightforward story and enjoy this book’s delightful illustrations by Debasmita Dasgupta. If you haven’t already done so, feel free to share this post by using the social media buttons at the bottom of this page. We would LOVE if you could leave us a review on iTunes. PreviouslyMeet “The Boy Who Talks in Bits and Bobs”! !